There is hardly any difference between a full stone veneer and a thin stone veneer. People use both substances for decorating their interiors and exteriors. But at some places, thin stone veneer has superseded full stone veneer as a perfect flooring and walling material due to some exclusive features. 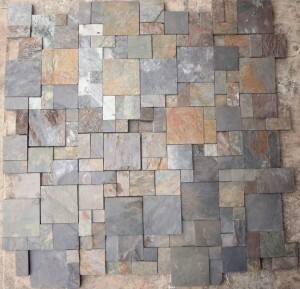 These stones possess hues and natural tones that make it a likely option for making walkways and pedestrian strips. You will not find any unnatural component within its geometry that gives it an earthy look to whichever place it is cemented. The material composition of these wonder veneers is made entirely from the fragments of earth surface leaving no room for any adulteration. It has been used as a construction material in multiple hallways, pedestrian walks, public squares and platforms. In recent years, there has been an incredible change in the designing pattern of office buildings and corporate houses. Instead of constructing a building out of brick and mortar, various corporate giants have tried to give an artistic appearance to their offices. Many architects and civil engineers are hired to construct a gigantic building that becomes an apotheosis of class and nature. So people have turned to thin stone veneer that reflects the vivid colors of nature. Be it the facade of the edifice or the wide entrance way, these stones have given the sophisticated outlook to them. The big chunks of stones are customized according to the need of the house. Sometimes the small slabs of stones are joined together to create an amicable texture that looks good on walls and floors. This versatile thin stone veneer gives a radiant appearance to the stairs of the house and swimming pool. these stones last for centuries and doesn’t lose its natural outlook by environmental factors. They give great comfort to your legs when you walk barefoot on these smooth veneer. You could also practice your meditation sitting on the surface made of natural stones. This will not only help you in consolidation your concentration but also will relax your body to a large extent. Due to constant pressure and external factors sometimes these stones are cracked open that gives an absurd appearance. On the contrary, there are some super stabs such as thin stone veneer that can bear tons of pressure without having a single scratch on its surface. You can exempt yourself from the additional spending on caring and maintenance of these muscular stones as they don’t crack up on the regular basis.